I adapt my schedule to meet your availabilities to ensure you have the training consistency required to generate success. 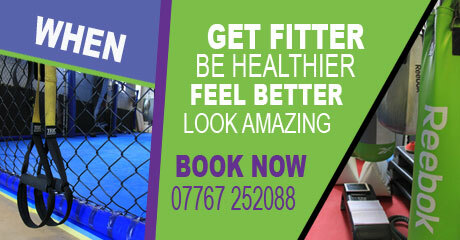 A Personal Trainer in Cambridge training at the most suitable place and time for you. I will give you the best exercises for you and your environment. The majority of people fail at getting fit. They join a gym, have an induction, are keen for the first few weeks and slowly the enthusiasm drops. Many think that going to a gym or exercise class is enough and get disappointed when their goals are not being achieved. Why do they fail? Because 70% of your success comes not from pounding the miles, pumping the weights or exercising like crazy, it comes from eating the right things and avoiding the bad things. Together, we will examine your diet and identify areas that need to be improved. The bad things that must be avoided, and a healthier food regime that wont be a ‘yo yo’ diet but will become a way of life that you will enjoy. Looking for a personal trainer in Cambridge? Rubin is awesome, he’ll keep you driven and motivated and best of all he gets the results you want. I will help you achieve a better level of fitness and a healthier, happier lifestyle. Or please fill out the form so that I can contact you to answer any questions you have. I have been in the industry now for 10 years but this doesn’t seem like a job it is more of a passion. I started work at Tsunami Gym 6 years a go and 2 years later became manager. I have been training to a high standard since my early school days whether it was long distance running, boxing or circuits and have had the good fortune to have been to some of the best fitness centres in this country and as far as Australia and America. 2018 saw me co host my first obstacle race called 1 True Grit with over 1000 participants and also start up a fitness, yoga and surf retreat in Morocco. I am always looking for new ideas and not only keeping up with the latest trends in the fitness industry but also seeking out any new ideologies from movement performance to nutrition. Fitness isn’t just a fad or fashion but a way of life.